Sorry for some of the broken links. 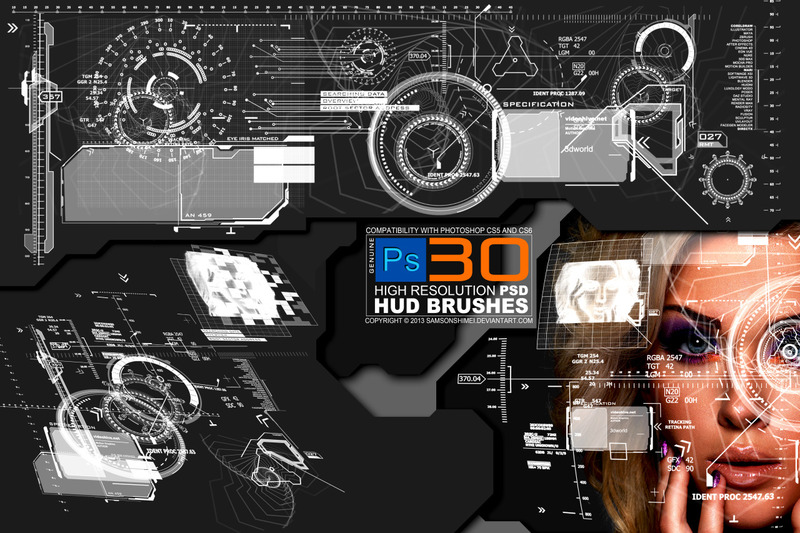 I’m going to try and find the CGHub brushes and reupload those also any brushes that are on Divshare to Mediafire. Since Divshare is really confusing to navigate. Since the creator has expressed that they do not want these re-uploaded and distributed. You will have to retrieve them from the site itself. Made a quick guide on how to retrieve them.
" 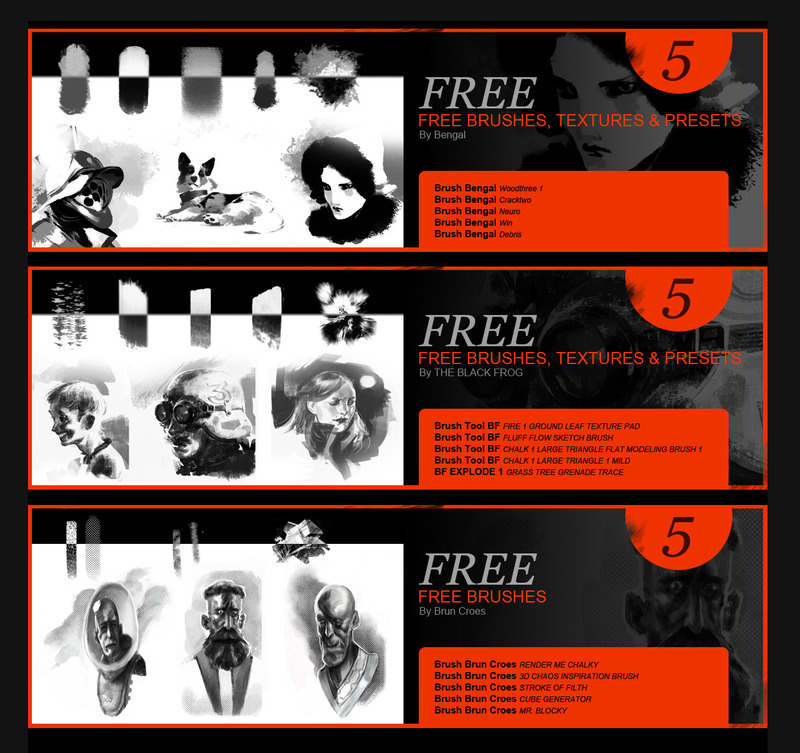 They can be used for any commercial or non-commercial art, but do not sell them individually or as a collection." 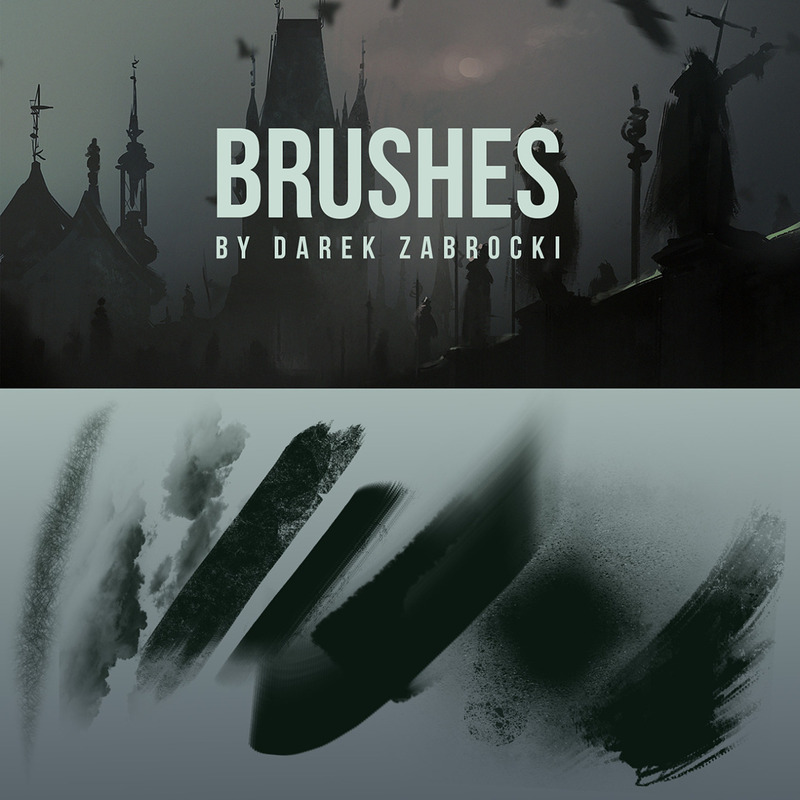 Not sure how to distribute these since I didn’t get them sourced from the artist themselves but here’s a batch of mystery brushes I’ve pulled from random places I don’t remember from. 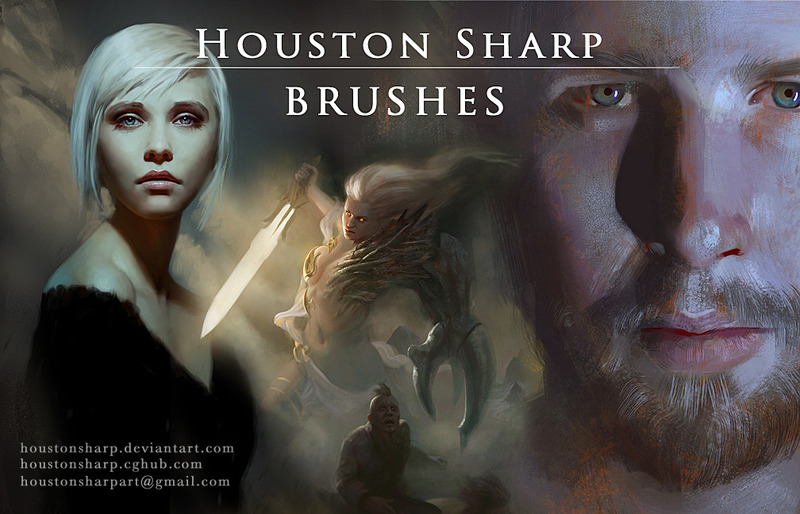 Supposedly Craig Mullins, X-Tiger and ect. 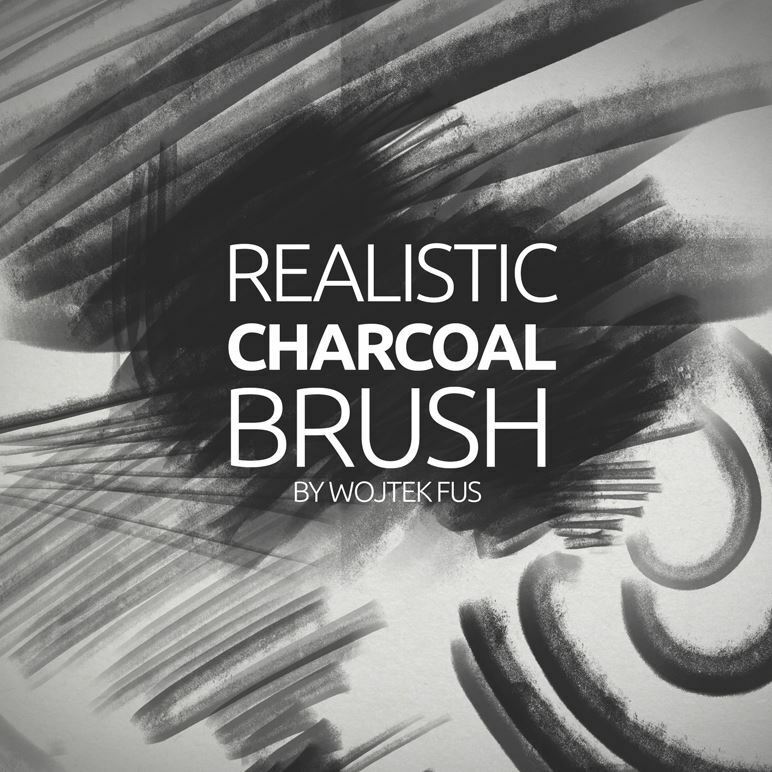 "One day I saw someone used photoshop preset like that, so I just made my brush preset and share it. Lazy Nezumi 30% Off Sale!! Want your PS to be more smooth like Sai? Is the answer! And now for 30% off! 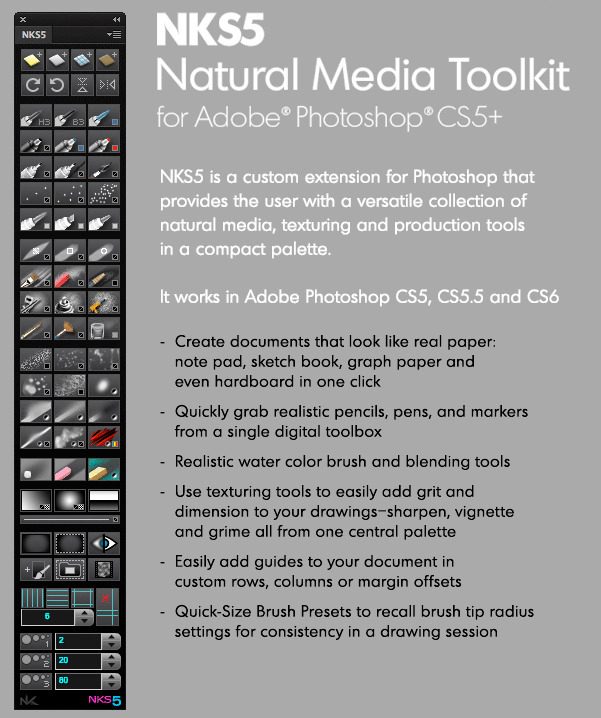 "Like all of my personal projects these days, it’s been a long time coming, but it’s finally here… NKS5 is a custom toolkit for Adobe Photoshop CS5, CS5.5 and CS6 – it provides a wide range of natural media, texturing and production tools in an attractive, easy to use palette with a minimal footprint. It’s a free download, but if you’re pro and it’s helping or if you just want to see more projects like this come about please consider making a donation below. Donators will receive download links to updates as the’re available along with early access to future extensions."